It may have taken a little time, but this year’s winner of the Cardiff Speakers Club speech contest has received his trophy. 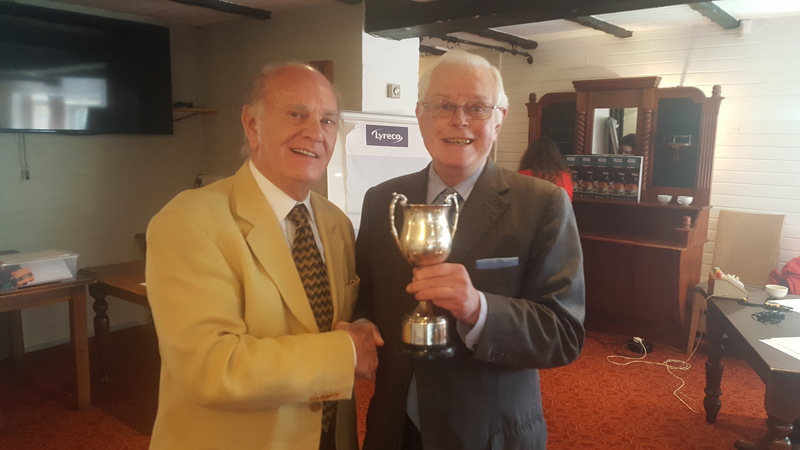 Competition winner Terry was presented with the club trophy at the Area Competition held at the Deri Inn, Rhiwbina, Cardiff. Is public speaking your New Year resolution? We restart on Thursday January 10th 2019, but in the meantime can we wish you a Happy New Year! 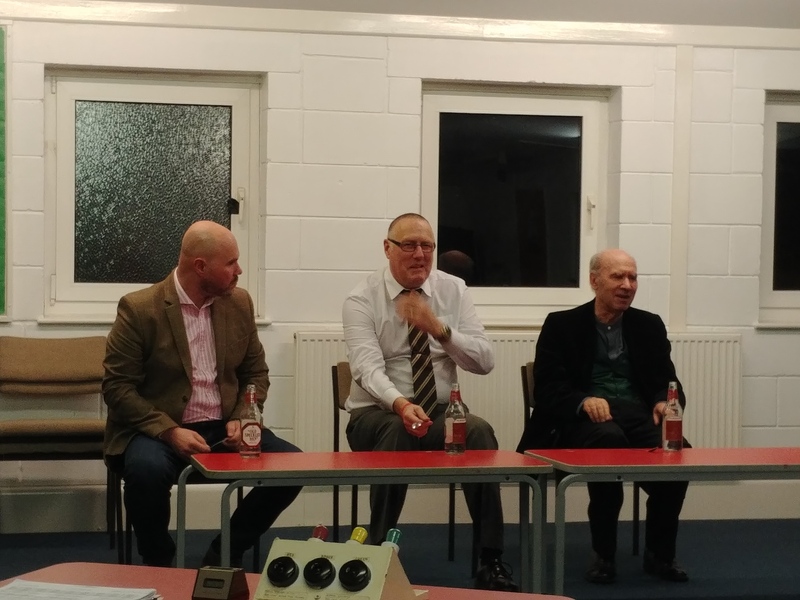 The second half of the last meeting in 2018 saw our members wind down with a friendly competition based on Just a Minute. Members had to speak for 60 seconds without hesitation, repetition or deviation from the subject which were all based around popular TV programmes. 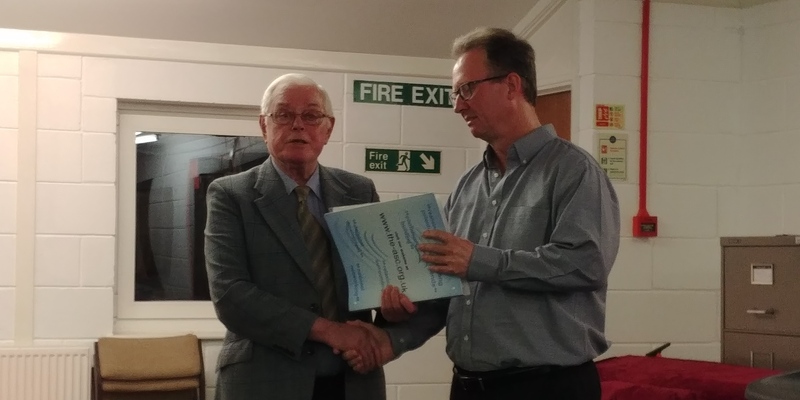 Our thanks to Andrew for organising and chairing the competition which ensured members left the meeting full of seasonal cheer! Club Members Jeremy, David and Lloyd compete in one of the rounds. It looks as though David is about to challenge! One of our new members, Kevan, has already had great success. 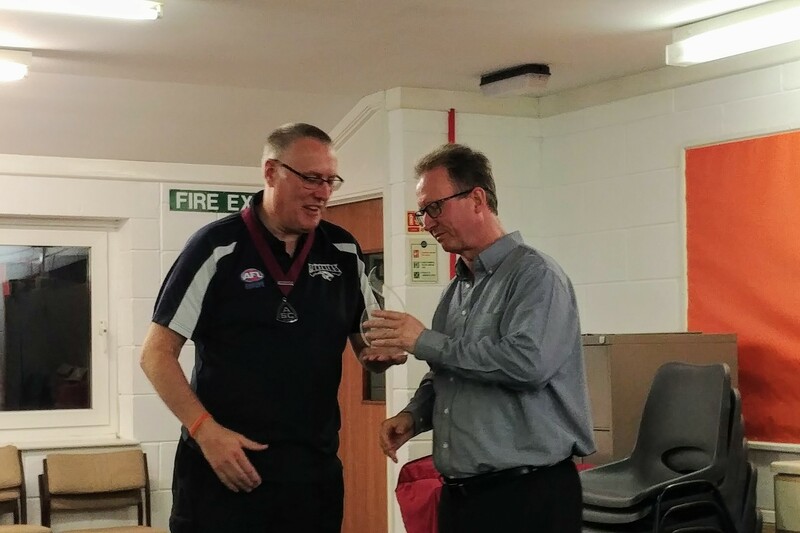 As well as receiving his ASC manual from our Education Director Phil, Kevan also won the Novel competition – this was only his third CSC meeting! Many congratulations Kevan and we wish you every success in the District Novel competition. After our summer break, Cardiff Speakers Club restarts on Thursday 13th September. 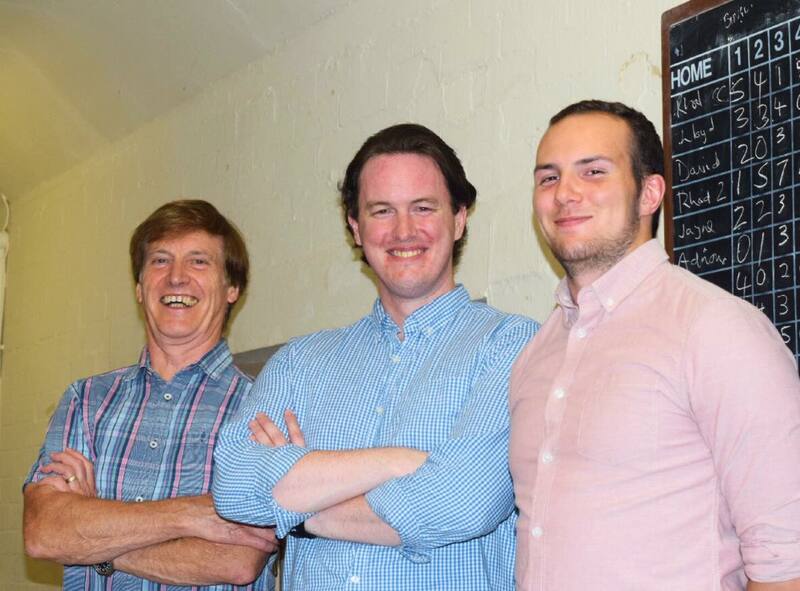 The club’s summer social was a competitive skittles night at The Birchgrove. With thanks to Matthew D for arranging, members and guests enjoyed trying to score as highly as possible. Congratulations to Gwilym, Rhodri 1 and Rhodri 2 for topping the table. Roll on next year’s rematch! Just a reminder that the Club’s meetings will be out of sync in May, compared to our usual fortnightly cycle. The first meeting is Thursday 3rd May. On the agenda is a true or false competition as well as two set piece speeches. The second meeting is on Thursday 24th May. This will be the club’s AGM. Hope to see you at one or both of these!